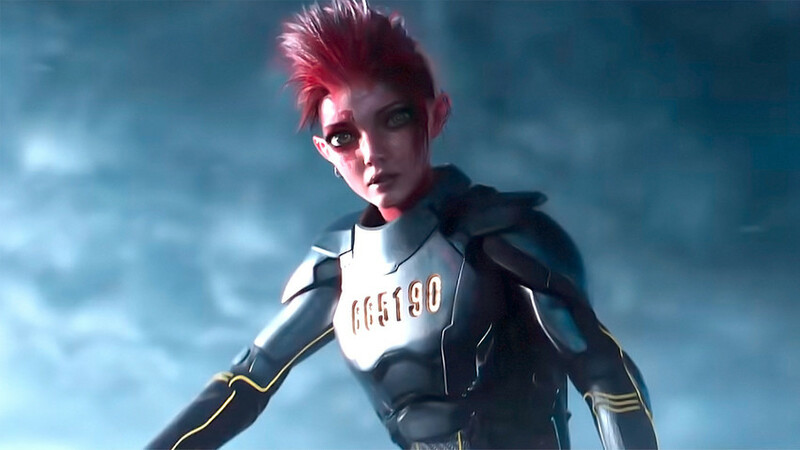 Art3mis from Ready Player One, one of the main characters (more precisely - a virtual avatar of one of the main characters). An artist working on ‘Ready Player One’ gave his wife her 15 minutes of fame. Polina Zabrodskaya, a Russian who works as a creative director for advertising firm Publicis London, got a shock when she attended the premiere of Ready Player One - Steven Spielberg’s new movie. Almost half of the plot takes place in virtual reality and one of the main characters, Art3mis, is the splitting image of Polina. “It’s the strangest feeling in the world: To watch your animated self in a movie, noticing some details only you and your close ones know,” Zabrodskaya wrote. Of course, it wasn’t a coincidence - her husband, Jama Jurabaev, worked on the film as one of the illustrators and took inspiration in Polina while creating Art3mis. Several years ago Jama asked his wife if she was okay with him using her as the basis for one of the characters he was working on, without naming which one. “She’s a badass. You’d love her,” he said - and Polina agreed. He gave Art3mis Polina’s “face, protruding ears, and body” - Spielberg approved of the looks before greenlighting the character. What a nice way to surprise your loved one. “As a side note, I’m also quite grateful he didn’t use me as a reference for his Jurassic Park work,” Polina added. If you are interested in Russians' involvement in the world culture, check out our article on the star singers and musicians with Russian roots. 9 Hollywood actors who played Russians and nailed it!